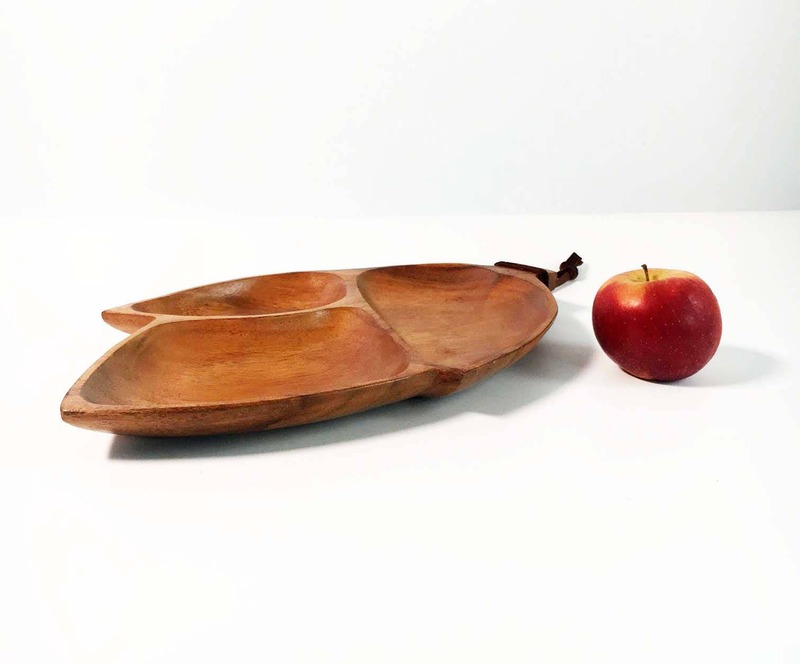 Amazing serving tray...serve in style! 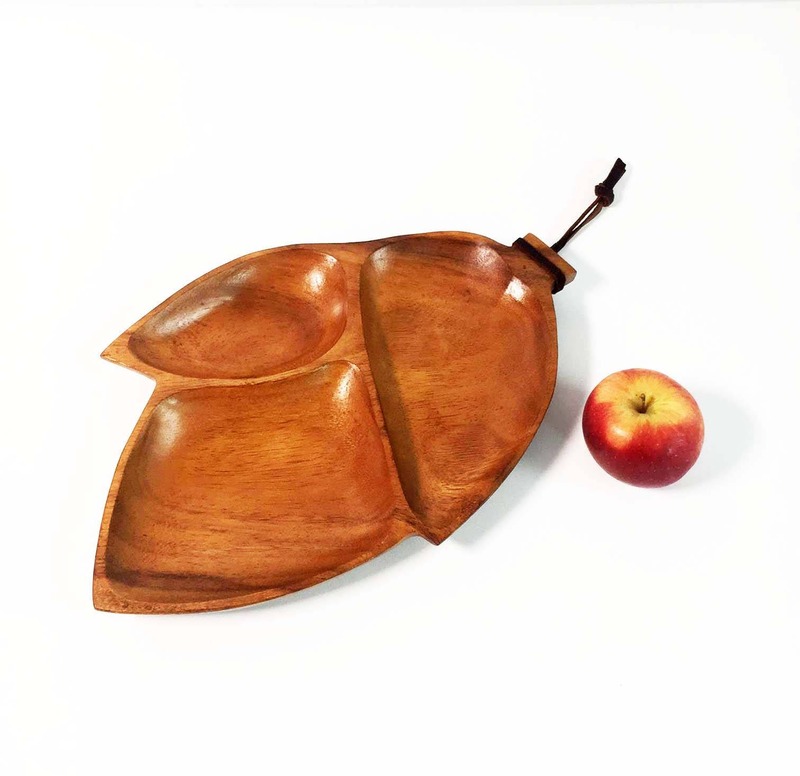 Here is a vintage serving tray made of Monkeypod wood and shaped like a leaf. 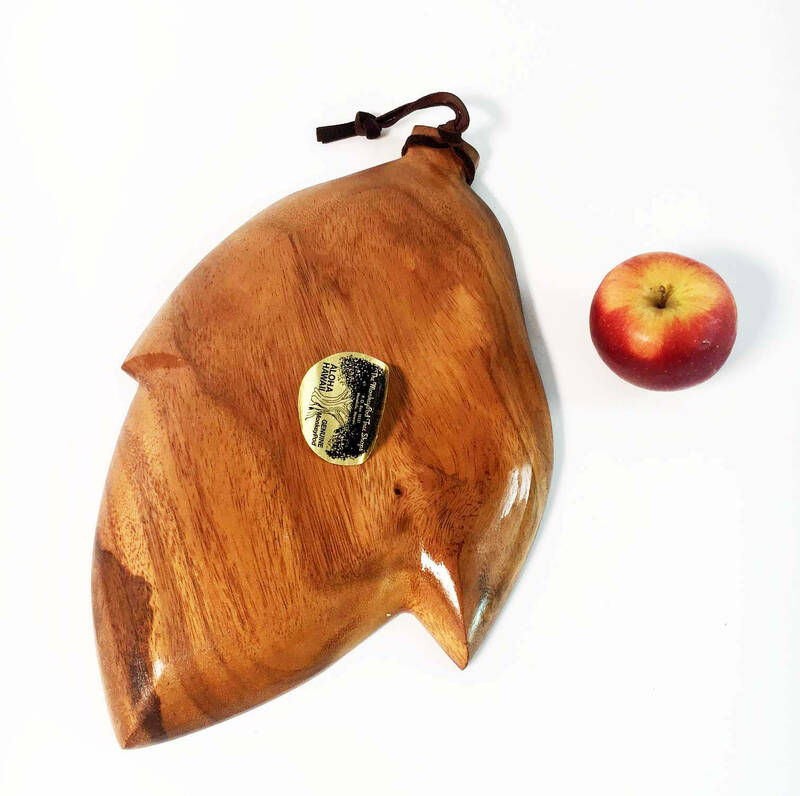 This piece has three sections and visible grain. Medium sized tray (see the photo next with the apple to put it in perspective). The original tag is still intact (although peeling off). It states "The Monkey Pod Tree Shop PO Box 10151 Honolulu, Hawaii. 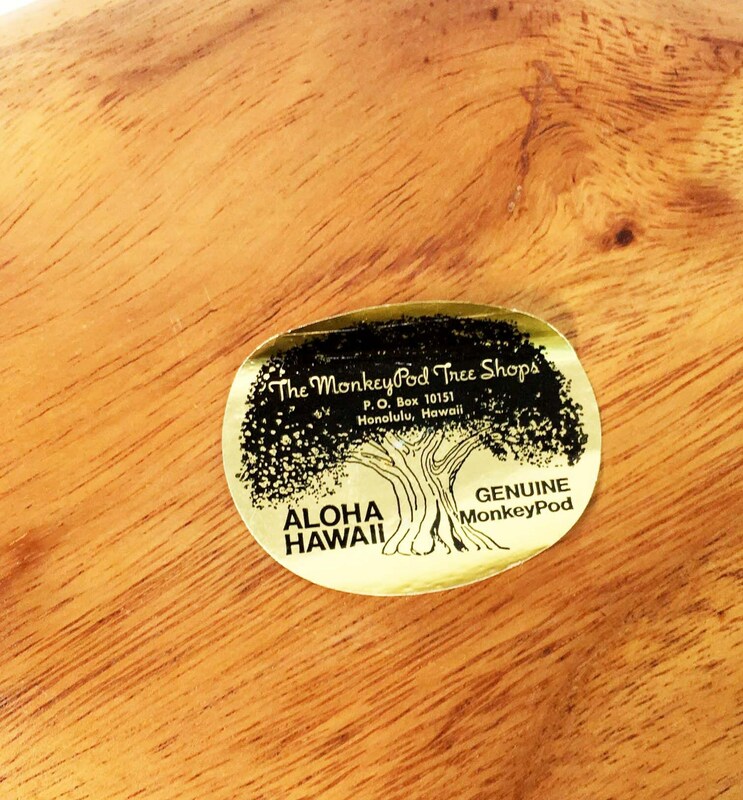 Aloha Hawaii Genuine Monkeypod". 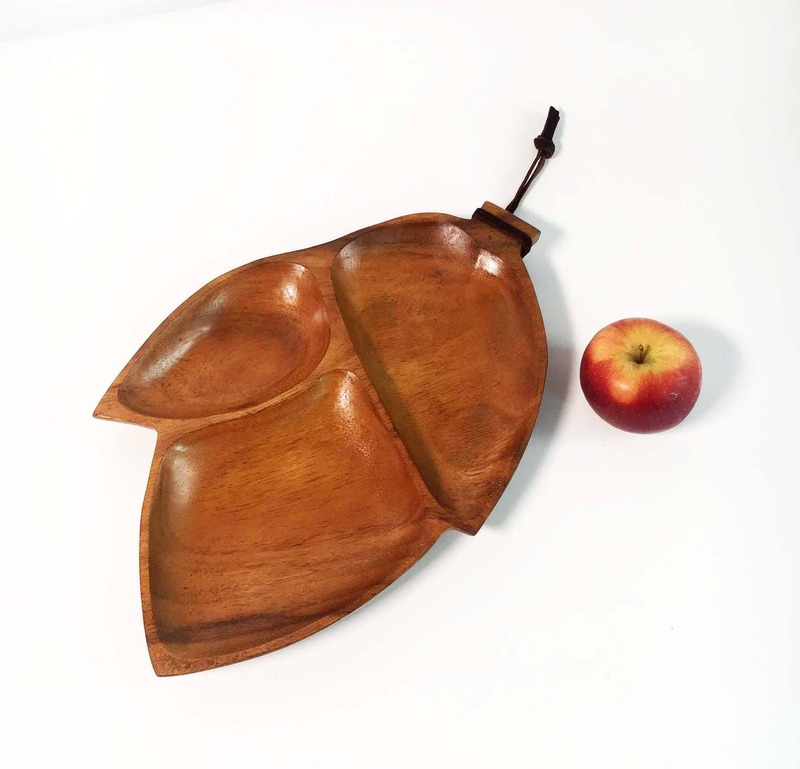 The end of this tray has a leather piece wrapped around it for easy hanging (see last photo above). Size: Approx. 13 1/2''' long by approx. 8 1/2'' wide (at widest) and 1'' thick. Condition: Very good vintage condition. Some use marks/scratches to the wood here or there but none are too noticeable. 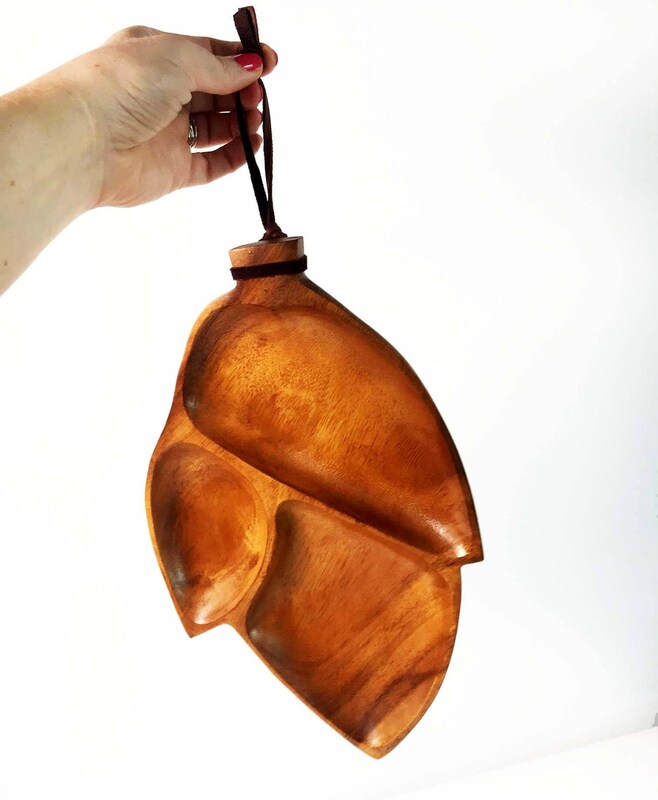 Great serving dish for a party, centerpiece, wall hanging or for a rustic / shabby chic themed home!